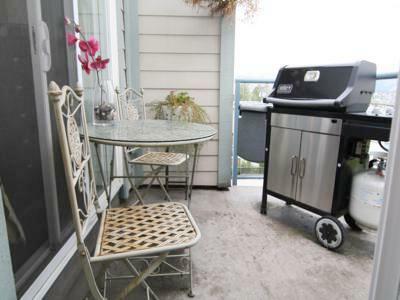 With a beautiful view of the city from your patio, this stylishly furnished open concept condo space makes you look forward to coming home every day! 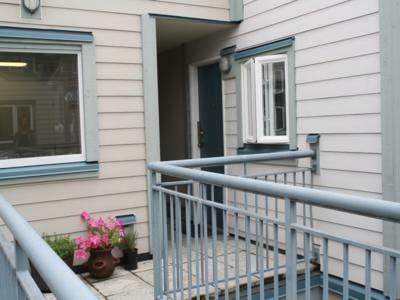 This 1 bedroom condo is on the top floor of a 3 storey walk-up style townhouse complex. 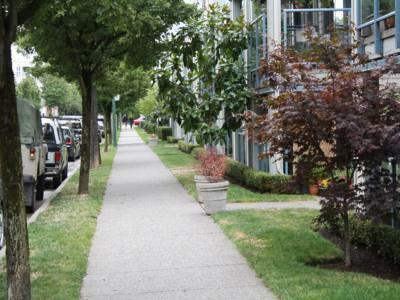 The condo is only 1 block from the burgeoning Cambie corridor and is a 3 minute walk to the new Olympic Village Canada Line stop. 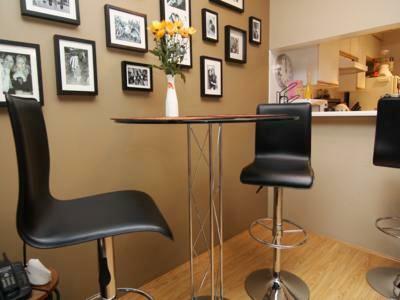 Enjoy a quick 5 minute commute into downtown or a 15 minute ride to the airport. All Olympic venues can be easily accessed such as Canada Hockey Place - GM Place is one stop away on the Canada Line, as well as Hillcrest Park which can be accessed easily. Being on the top floor of the complex, you get the benefit of no overhead footsteps and no noise from above. 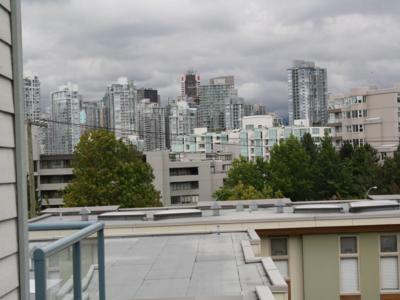 Also provides the most unobstructed view of the city. 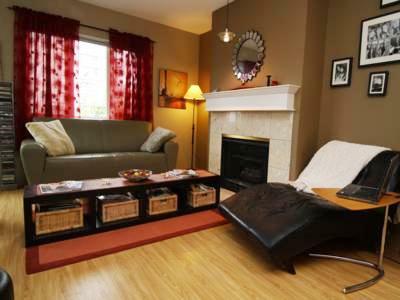 The complex is quiet with mature condo owners and only a few renters. 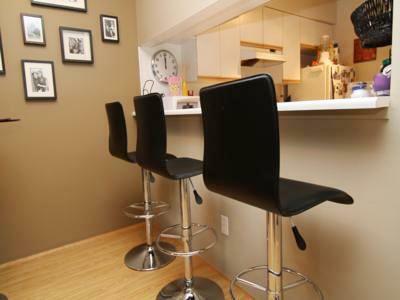 At 640 sq feet, the condo feels bigger than it is, with one large living room area that has an open window into the kitchen- perfect for entertaining. The entire space is floored by attractive laminate hardwood flooring. 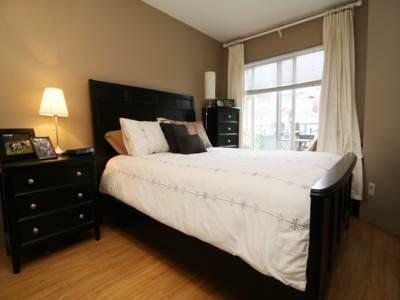 The condo comes furnished with a beautiful 2 year old bedroom suite including matching leather bench and beautiful wooden lingerie chest. There is also a closet that was custom built upon purchase 2 years ago with 9 layers of shoe shelves plus plenty of hanger space and Ikea style buckets for storing non-hanger clothes. Skylit living room area comes with a large high bar table and 4 stylish high bar leather chairs. You will never want to get out of the black leather chaise lounger and the accompanying boomerang table is perfect for working on your laptop or a TV dinner. 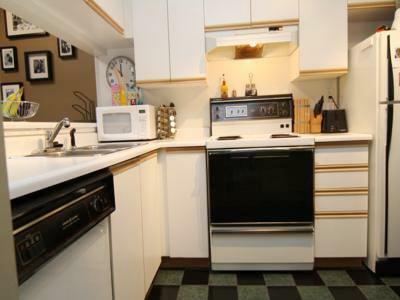 There is lots of counter space in the kitchen. 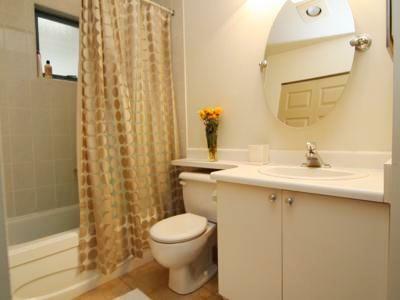 Bathroom is modern looking with a unique large oval mirror and overhead heating light. Stacked washer and dryer in the bathroom closet is a great space saver. 1 parking stall is available in underground secure lot or available on the street with permit. There actually is no need for a car because everything is within walking distance! One block east Cambie, you have the new Whole Foods grocery store as well as Save on Foods, Canadian Tire, Winners, Home Depot, Best Buy and Starbucks all within a block. Excellent restaurants within a stones throw. Broadway is one block south and is Vancouver's most restaurant rich corridor. Cactus Club is a walk up the street on Ash and Broadway. A great cafe in an old heritage building is right across the street at Ash and 7th. 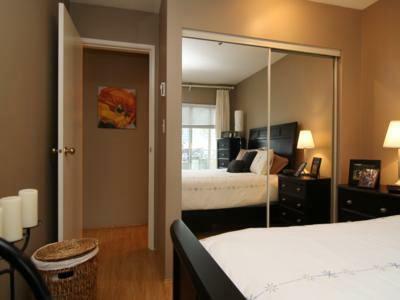 It is a lovely 20 minute walk to Granville Island on the seawall or a 10 minute jog. Sleeps 2 additional guests on an air mattress.